While I teach students a unit on economics, I find it is a perfect time to have them go the computer lab and research a career that interests them. This sheet includes a website link that students can use to explore a variety of different careers. The sheet then asks them several questions about that career. This activity holds student interest because it applies to their own lives. I suggest printing the sheet out and copying it front and back. 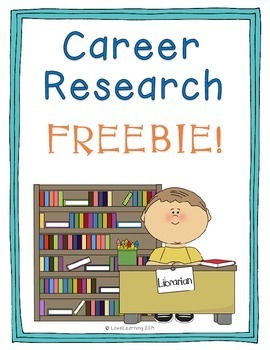 That way, students can research two careers.